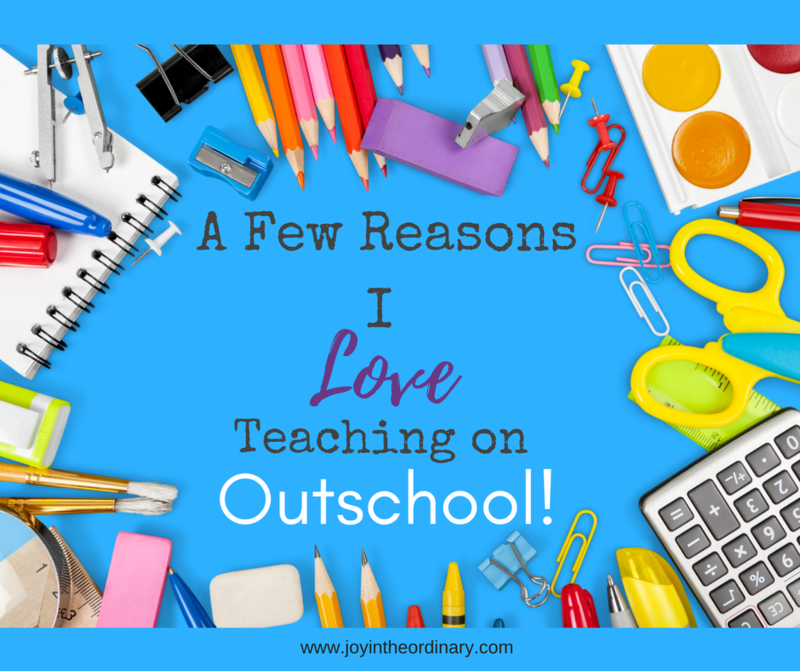 I try to refrain from using love when I speak about certain things, but, in the this case, I can honestly say, " I love teaching on Outschool!" Outschool has provided me with an opportunity I couldn't even imagine. I normally don't jump on opportunities quickly, but with Outschool I was sold on the first day it was introduced to me, and I have been teaching on the site since February 2017. Outschool allows me to teach a variety of students and share my work with my daughters. This opportunity is definitely one of my dreams coming true. Teaching on Outschool isn't the same as teaching at school or at home. With Outschool, I teach only the classes I enjoy teaching. The classes I teach reflect my favorite subjects and topics. I teach art, math, and life skill classes. If you've ever taught one grade level before then you know it is rare for a teacher to be able to teach only their favorite subjects from the grade level instead we are often required to teach our least favorite subjects too. Not only is Outschool flexible about what I teach, but there is also flexibility when it comes to time. Most of my classes happen between 11 am and 3 PM on Mondays, Tuesdays, and Thursdays. I usually teach only one class a day between those times. I chose the times my classes are scheduled. If I can't teach at a certain time on a certain day then I don't schedule class at that time. It really is that simple. I am thankful I am able to schedule classes in between my responsibilities as a homeschooling parent. Teaching doesn't impact our field trips, outings, etc. because I usually have those events planned before I schedule my Outschool classes. I am able to do what I enjoy. I love learning which often translates to me teaching what I have learned. When I am sharing something I enjoyed learning, the person I am sharing with often feels excited about learning too. This does my heart good. Some may say I've been able to do what I enjoy since I homeschool my daughters, but I have always enjoyed working with children who aren't a part of family so I am glad to be able to do both. I am able to contribute financially to my family. I struggled with being a stay at home wife turned mom. It was hard for me not to earn, and this struggle negatively impacted my attitude and thoughts. Thankfully, I moved passed the struggle a few years ago, but the opportunity to contribute by doing something I enjoy is definitely a prayer answered. My contributions vary each month based on student enrollments and the number of classes I offer. Even with these variations, Outschool provides me with the opportunity to consistently earn and reach my monthly earning goals to help my family. I appreciate this perk from Outschool so much that I often refer former teachers turned stay at home moms to Outschool. There's no pressure to work a ridiculous amount of hours nor is there a culture to overprice your services. It is truly a win for teachers who love teaching and parents who want helping teaching their children. Have you heard of Outschool? Would you teach or enroll your kiddos in live, online classes?